We love Facebook. While it is made to stay in touch with your friends and family, it is also an interesting source to see what Archos future plans are. 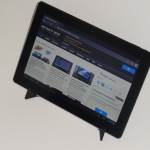 Last time we discovered a nice 97 Xenon from the Elements range, today we discovered that Archos Slovenia revealed some details for the FamilyPad. 13.3 inches and a resolution of 1440 x 900 points. It will have a front and rear camera, HD quality, 16GB NAND flash memory, HDMI, USB OTG, as well as 10,500 mAh battery. More information is published at the end of October. Does it look amazing? We think it does, especially if you also get the stand shown in the first picture. On the other hand, what about the specifications? 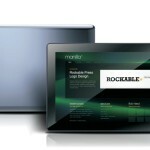 The current stores offering it(for example lasystems) mention it will come with 1280×800 screen and 8GB of flash memory. 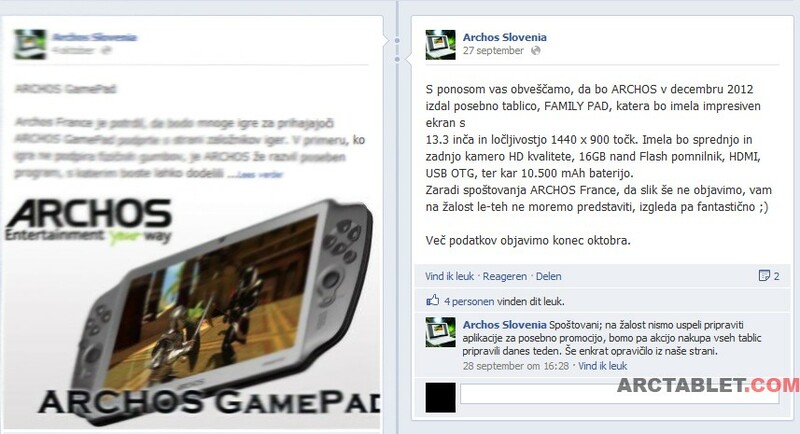 Perhaps Archos employees in Slovenia made a mistake, or Archos decided to upgrade a few components. 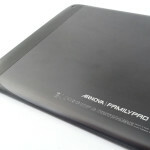 Then there is also the RPP of 299€… We mentioned that YF Tech is selling the 1280×800 units for 180$/piece and even if you add the stand and the upgraded screen(we really doubt this will happen), the single-core Arnova FamilyPad seems overpriced to us. 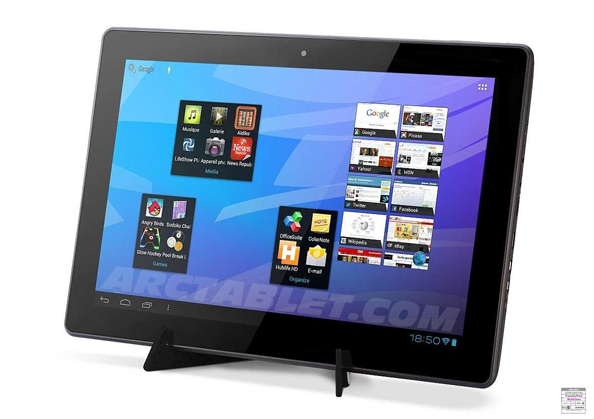 Next articleSerious issues on Archos G9 ICS firmware update 4.0.24, please don’t update!